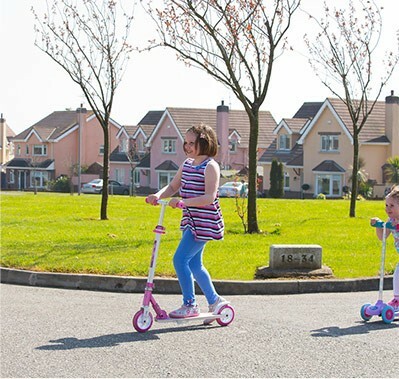 The housing market in County Wexford offers impressive choice with a plentiful supply of town houses, luxury single family homes and waterfront properties available for rent or sale and with prices to suit every budget. Click below to see residential properties currently available in County Wexford. Patrick Kennedy, the great grandfather of the 35th President of the United States, John F. Kennedy was born in New Ross in County Wexford. The Kennedy Homestead in New Ross is now a museum and is still run by his descendants. Wexford is one of Ireland’s top places to visit and holiday in. The county boasts 275 kilometres of coastline featuring golden sandy beaches, rocky headlands, cliffs and nature reserves. There’s plenty of vibrant towns and a calendar filled with festivals and events so there’s always something fun to see and do in Wexford. 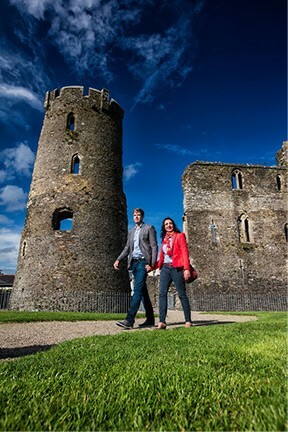 Begin your discovery of our beautiful county by exploring some of the most popular and iconic landmarks of Ireland’s Ancient East. Explore the hidden gems of our Garden Trail, Heritage Trail and Craft Trail or hike off the beaten track and enjoy one of the routes on our Walking Trail. Wexford offers a wonderful variety of accommodation options with everything from cottage rentals, bed and breakfasts, luxury hotels, a five star destination spa and everything in between. The café culture in Wexford is alive and well. There are many ideal spots where you can take the time to relax, enjoy the friendly atmosphere, sample the local delights in our cafes or dine at one of our many award-winning restaurants. In Wexford, we guarantee you will find something to satisfy all tastes, appetites and budgets. Ireland’s labour force is among the best educated in the world with very low turnover when compared to other European countries. It’s not surprising then, that the Irish education system continues to rank in the top ten in the world1. The percentage of the population aged 25 to 34 years who hold a third level qualification is higher in Ireland than in the United States or in the UK. Ireland also ranks third in the Euro area for the numbers of mathematics, science and computing graduates aged between 20 and 29 years. Wexford and the South East region is the source of an enthusiastic and steady stream of smart, talented people ideal for knowledge-based companies seeking a strong, English-speaking workforce. Wexford Town finds itself at the apex of a triangle of highly regarded, higher education facilities and hosts its own third level campus on a beautiful site overlooking the urban centre of the town and the Irish Sea. Waterford Institute of Technology and the Institute of Technology Carlow are within an hour’s commuting distance. These institutions give prospective companies access to 16,000 third level students. Our close proximity to Dublin also provides access to a further 65,000 highly skilled pool of graduates from the main universities of Trinity College Dublin, Dublin City University (DCU) and University College Dublin (UCD). Source: 1 & 2IMD Competitiveness Yearbook, 2015. The oldest operational lighthouse in the world can be found in Wexford on Hook Head Peninsula. Hook Lighthouse is listed by Lonely Planet as one of the top visitor attractions in Ireland.